The concept behind the myiTero.com launch is to bring the entire Element interface onto the web and begin the process of unifying the IDS (Invisalign Doctor Site) and iTero platforms into one ecosystem. With the myiTero portal you will be able to everything except scanning from the browser on either your desktop computer, phone, or tablet. The Outcome Simulator, while able to be launched from the web, still requires a Windows machine with the right graphics card to run. There is also a Learning Center for your team, and settings tab to define settings for Exports of iRecord and iCast files. Just like on your iTero Element you can select a patient’s file to bring up a history of all the scans taken for that patient. By selecting a particular scan you can open the viewer, which brings up an iTero Element style interface, or export the STL file to send to your 3D printer or to a lab. The turnaround time for everything to be available is now only a few minutes after the scan is taken, and the transition of this access away from the physical iTero is important because it frees up the scanner for the next patient quickly. 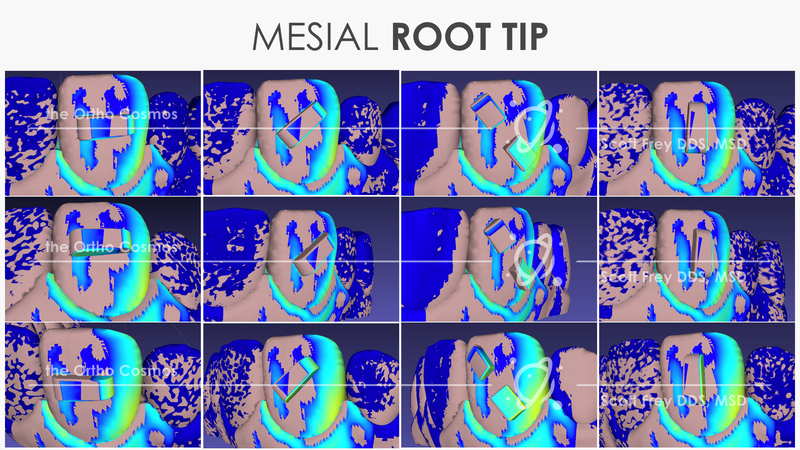 Currently the scans available through the viewer are not in full color, but that will soon change, creating a superior alternative to intra-oral photos. 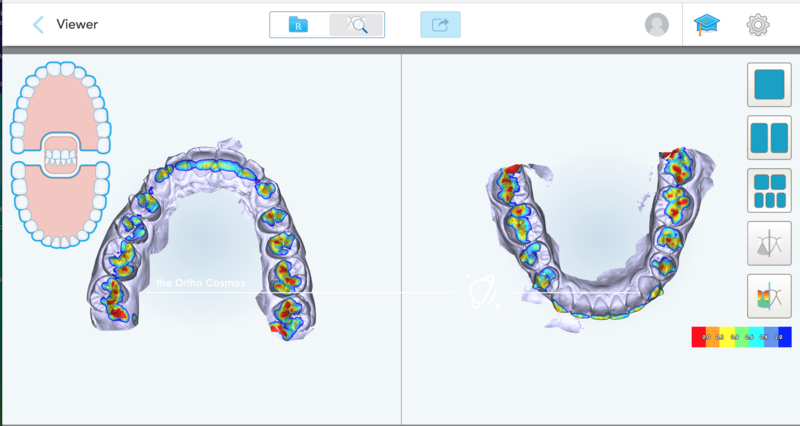 For the time being though, you can certainly show patients accurate bite relationships and occlusal contacts as well as open the Outcome Simulator on your Windows machine as before. 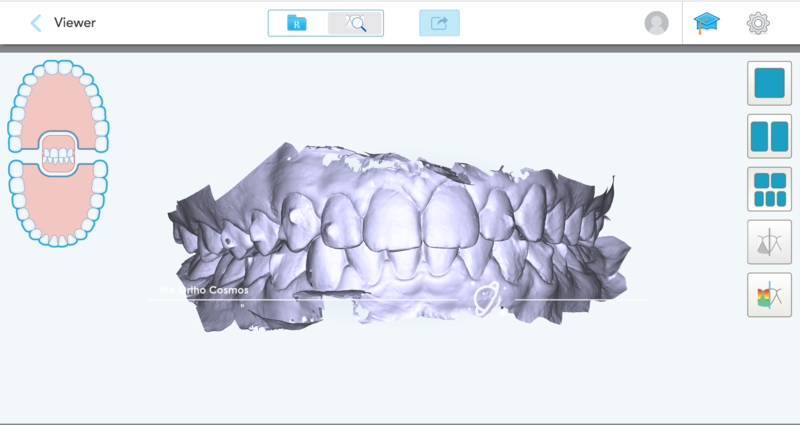 Now that this information is accessible through a cloud based portal within minutes it is worth re-examining your initial consultation process to allow for patients to be scanned from the beginning so the 3D data can be used as a teaching tool. For us Mac people, we still have to wait a little bit to be able to fully leverage the Outcome Simulator. 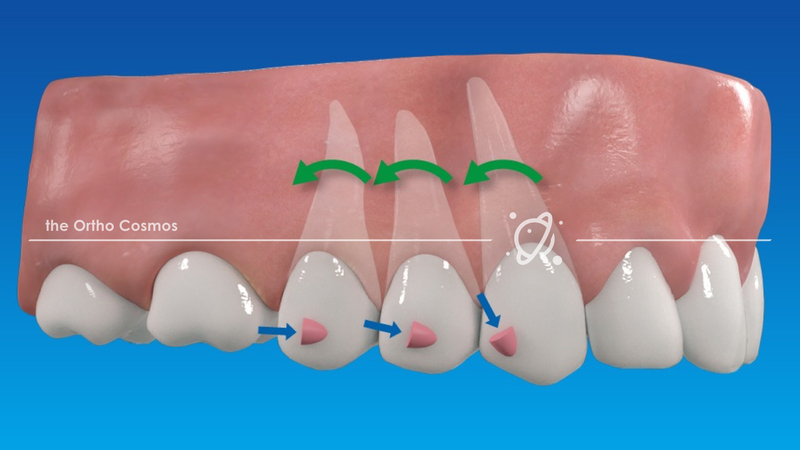 Very soon, using the proposed outcomes from simulator to help your technician with your initial Set Ups, sending for appliances or Indirect bonding, a GP making a referral to orthodontists on the doctor locator, or starting the patient that day as an orthodontist will be as easy as pressing a button. The colors Suzy is referring to are the colors placed on traditional metal braces. 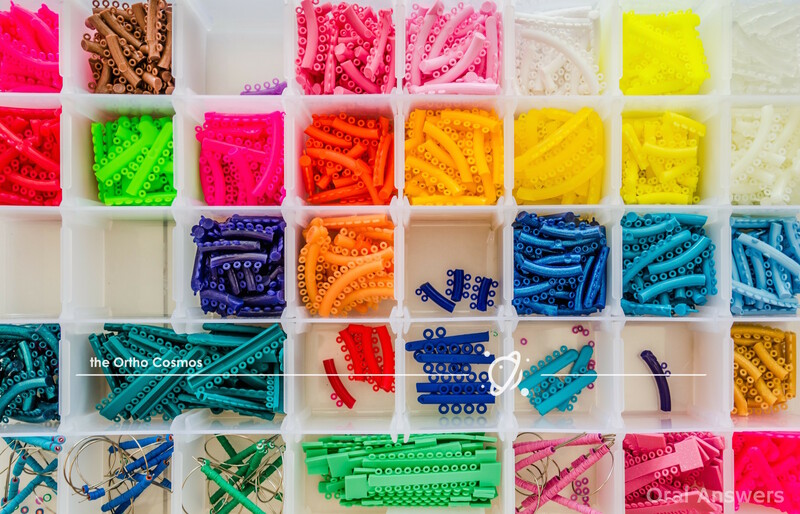 Those pink, orange, green or blue rubber bands that “accessorize” the silver brackets. Typically the child who wants colors is in junior high and about 10 or 11 years old. 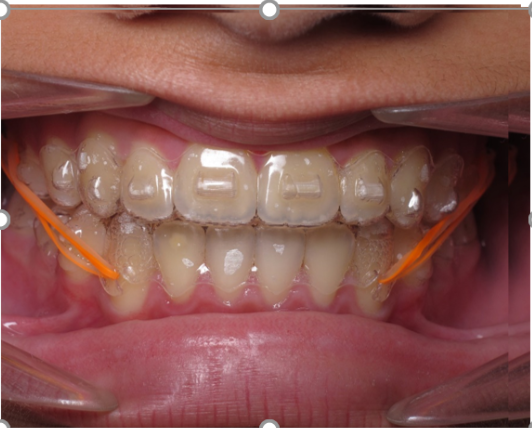 For sometime, we would never counter that request and often ended up giving patients the metal braces and “colors.” However, it got to the point where we would only “prescribe” Invisalign to the patient and parent especially in those open bite cases as we felt it was truly the best option for the patient’s malocclusion. Also many times, we had parents who only wanted Invisalign for their child and yet the child was adamant about those colors! Finally, we came up with a very simple and effective solution that you can implement right away. Of course they are now “all ears” and we quickly explain that not only do we have something better, she can change her colors several times a day. We let her know her friends will be stuck with their colors until their next orthodontic adjustment which could be 6 to 8 weeks with pink braces! At that moment, the bags of colorful elastics are brought out and a bag is handed to the child and mom too. Inside are mutliple different colors of elastics. 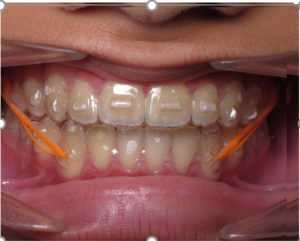 We explain with a photo of a patient with orange elastics and aligners that these are worn with the aligners in place and can be changed several times a day. So whatever color they feel at the moment, they have the ability to change the elastics. This works perfectly well and has turned most potential braces cases into Invisalign cases with excitement from both the child and the parent too. It is really simple and easy to implement and now you have a easy way around the statement, “But I want colors.” Remember…you have something even better!